Formed in 1964, the Spice Island Billfish Tournament, now the longest running billfish tournament in the Southern Caribbean, is recognised as the premier sport-fishing event that continues to draw anglers from near and far in a spirit of competition and camaraderie. The founders of this annual event, Jim Needham, Louis Rostant and Martin Mathias conceived the idea of this tournament because of their love for game fishing. Grenada is well-known for its abundance of game fish and in the early years, scores of spectators were drawn to the weigh station at the end of the fishing day to view the size and variety of the catch which were all brought to the scale. This spectacle not only provided viewer excitement and photo ops on terra firma, but also made for generous donations to the nation’s hospitals and as the tournament grew and evolved over the years, preservation and sustainability of our fish species became its major focus. A modified release system was first introduced with rules that required teams to release fish under a certain weight. The Spice Island Billfish Tournament commemorates its 50th Anniversary from 21-26 January 2019. At the media launch held on Thursday, 15 November at the Grenada Yacht Club, Chairman of the Organising Committee, Richard McIntyre stressed that conservation continues to be a key aspect of the event and he is proud of all the efforts of the committee in achieving a full release tournament. The 2019 tournament offers a full digital experience. As in past years, it will continue to incorporate Information and Communication Technology (ICT) to improve the competition process and to ensure that sport-fishing enthusiasts and other spectators – regionally and internationally – can be part of the action through live online streaming from the sea, weigh station, radio coverage and drone video footage. 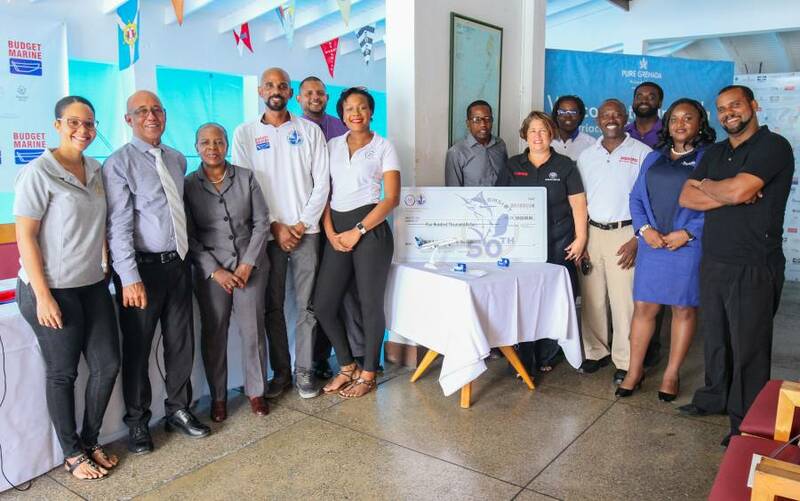 The 50th Anniversary celebration of the Budget Marine Spice Island Billfish Tournament (BMSIBT) will see significant improvements in the facilities at the Grenada Yacht Club, including increased berthing. Grenada looks forward to providing the usual spicy welcome to a record number of visitors and, particularly, to the many anglers who return annually to be a part of the excitement of sport fishing in Grenada. Getting to “50” has not been easy. McIntyre recognises this has been achieved only with the help of many individuals who worked tirelessly over the years, with support from government and all our sponsors, particularly Budget Marine, title sponsor for the last 9 years. In commemoration of this milestone event, the angler who lands the heaviest Blue Marlin in excess of 1,000 lbs. will win the BMSIBT 50th Anniversary Grand Prize of EC$500,000. Where can I get the official results of this tournament?